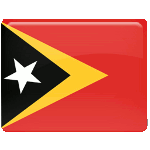 East Timor declared independence from Portugal in 1975, but after that it was occupied by Indonesia. This event started the war of independence in East Timor, that lasted for 25 years. On November 12, 1991 thousands of people attended the funeral of Sebastião Gomes, a supporter of independence of East Timor. They walked from the Motael Church to the nearby Santa Cruz cemetery and soon the funeral service became a demonstration for independence. The funeral was observed by the Indonesian army. The troops started attacking and shooting demonstrators, killing around 250 people. The massacre was witnessed and filmed by two American journalists and a British television presenter. Later it was broadcast on British television and it caused the wave of outrage around the world. The anniversary of the massacre became National Youth Day, that is a public holiday in East Timor. Special services and ceremonies are held, the solemn speeches are delivered. People light candles after the sunset to commemorate those, who died in the massacre.